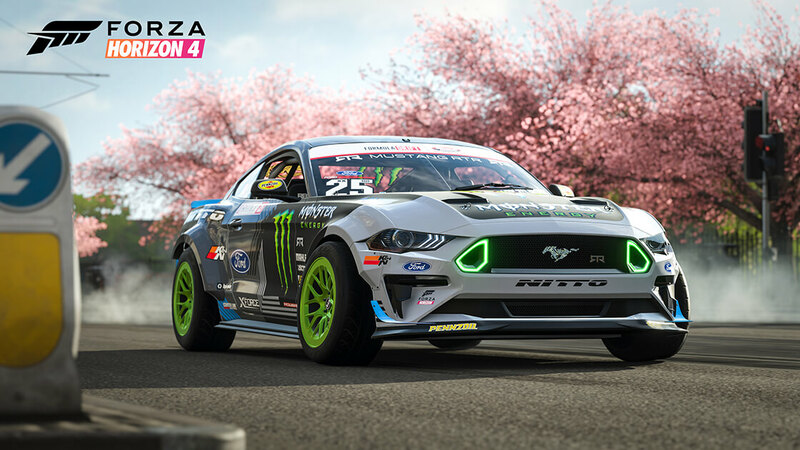 Festival Playlist arrived into Forza Horizon 4 with the Series 7 Update and brings together Seasonal Championships, Showcase Remixes, PR Stunts, Rivals, Online Adventure and more under one neat user interface experience that provides a one-stop destination for everything that’s currently happening in the shared open-world racing game. It also tracks your progress across each active seasonal event and allows you to easily see what rewards are currently available to unlock. Each week, there is a vehicle reward for achieving 50% total completion within each season, as well as another for earning 80% – that means beating almost each event on offer in the current season. 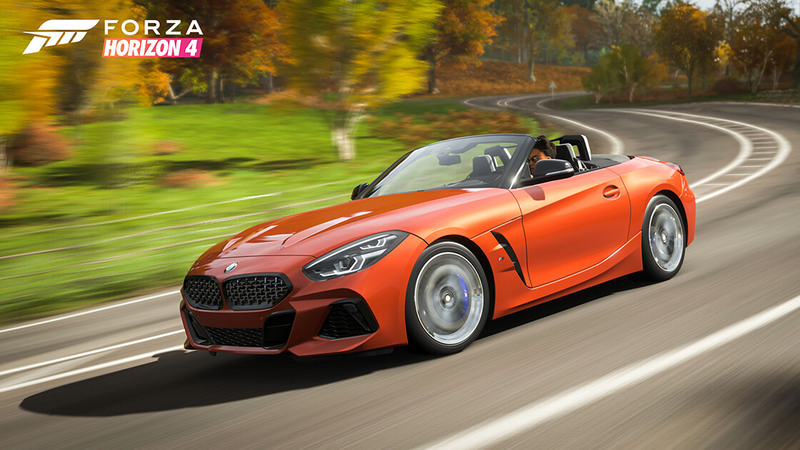 Due to the introduction of Festival Playlist, we will no longer be doing weekly seasonal articles for Forza Horizon 4. Instead, we’ll offer a monthly deep dive into all the latest content available to unlock in the game with each passing series – giving you everything you need to know about the current series exclusives that can be unlocked. 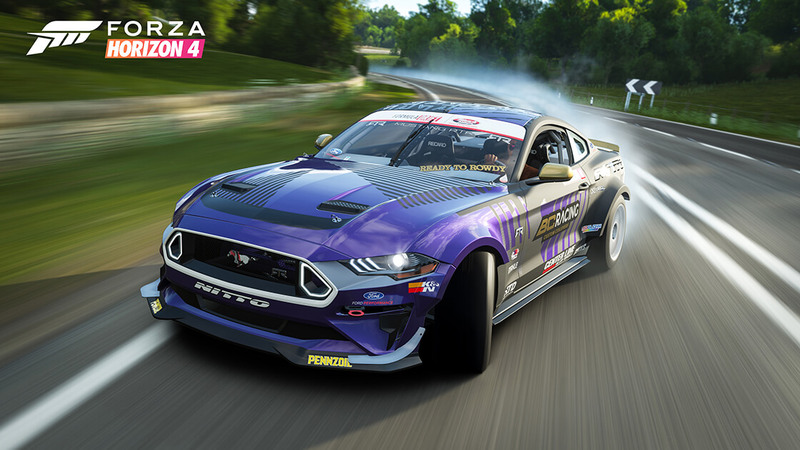 Series 7 of Forza Horizon 4 is all about the 2018 Ford Mustang RTR Spec 5 and its official Formula Drift variants used by pro drivers Vaughn Gitten Jr. and Chelsea Denofa. However, those aren’t the only new exclusive cars available to unlock in the game over the course of the next four seasons. 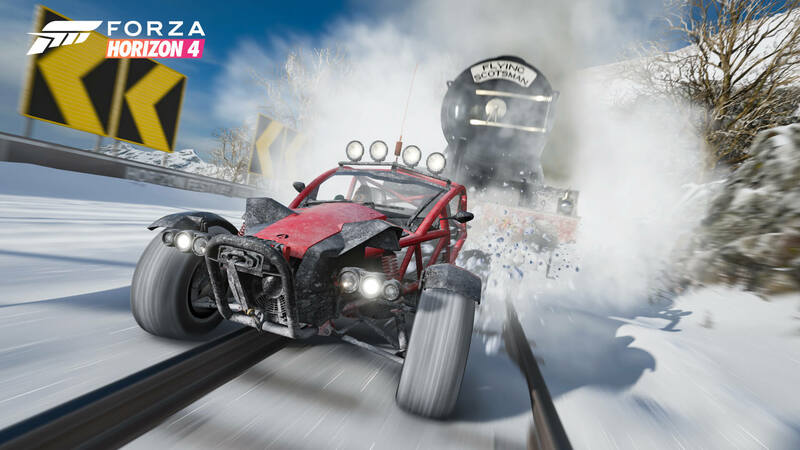 Below, you can discover each of the different reward cars up for grabs throughout Series 7 of Horizon Life in Forza Horizon 4 – complimented by their official descriptions from Turn 10 Studios. Let’s have a look! 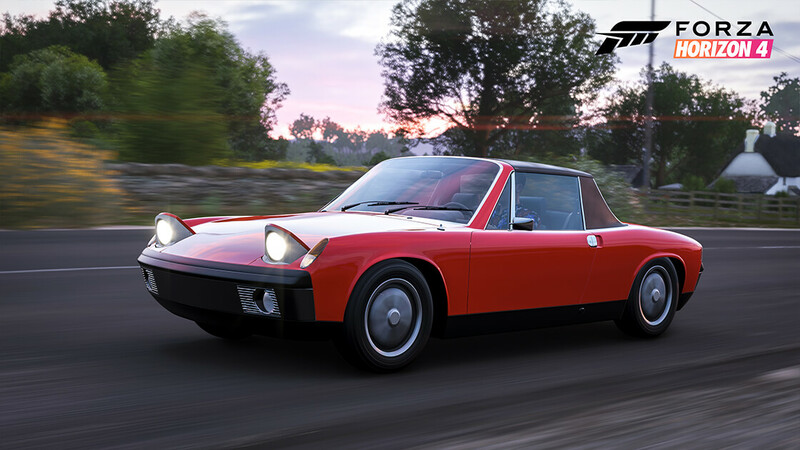 Conceived in collaboration with Volkswagen, the 914 was to be an economical sports car replacing the VW Karman Ghia and giving Porsche something to call entry-level. Most were produced with VW flat-four-cylinder motors and, in Europe; these were VW badged as well. Only 3,360 914/6s were produced. The 2.0-liter, flat-six made significantly more (35) horsepower than the largest VW flat-four available in the other models. All had a five-speed transaxle. Porsche entered a 914/6 GT in the 1970 24 Hours of Le Mans endurance race and it took its class and sixth overall; not too shabby for an entry-level sports car. The 914’s mid-engine, rear-wheel drive and near perfect weight balance make it a confidence-inspiring driver through corners. It’s also an endearing starting point for those wishing to own a Porsche, with a combination of fine performance and elegant aesthetics. What's not to like about a rear-wheel-drive roadster? Not much when you are running down the road with the wind in your hair and around 360 turbo driven horsepower from the ever-loving BMW I6 making mincemeat of everything in your wake. It's the return of the Z4 that disappeared from the BMW line-up in 2016 and Bimmer lovers must say "welcome back." When you consider the form and function of this car that aims to compete with the likes of the Porsche Boxster, it's just one more reason to appreciate German engineering. In an era dominated by the SUV, putting the top down and letting the tail get loose gives us all one more reason to love a true sports car. This is hallowed ground. 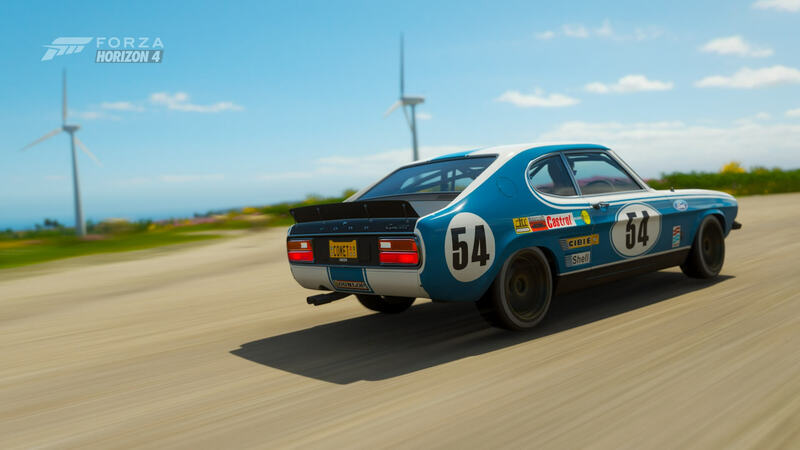 One of the truly great racing machines to ever come to Forza, and it is back. The M3-GTR is a product of homologation rules that required BMW to produce 10 road going versions of the V8-powered Le Mans racer up for sale. What you get is not just 380 naturally-aspirated horsepower but a lightened, strengthened, lowered M3 that is the epitome of a wolf in sheep’s clothing. It's still one mean looking woolly beast. A standout among even the most modified standard M3s. Front and rear aero, as well as the roof and hood vents and rear fascia are made of carbon-fibre reinforced plastic (CFRP). The entire package was derived directly from the racing version and only slightly modified for street use. This is a cherished ride for racing drifting or whatever comes to mind, and we know you will enjoy every tasty bit of it. 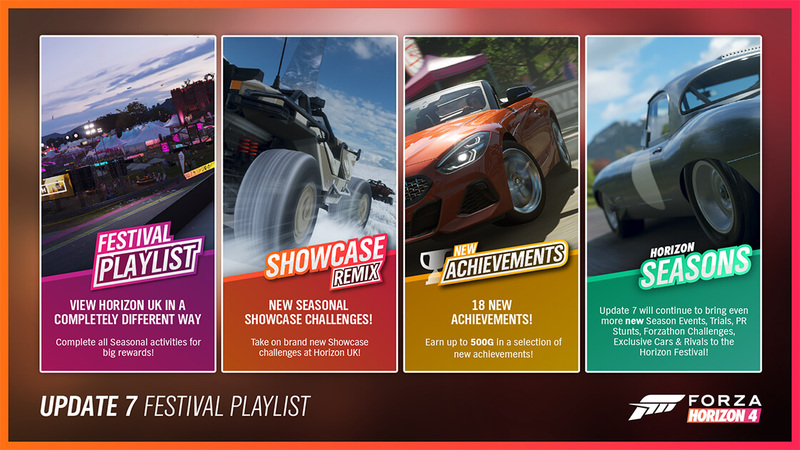 In addition to the above seasonal rewards, the Festival Playlist also offers two extra cars based on how much of the entire Series you complete. 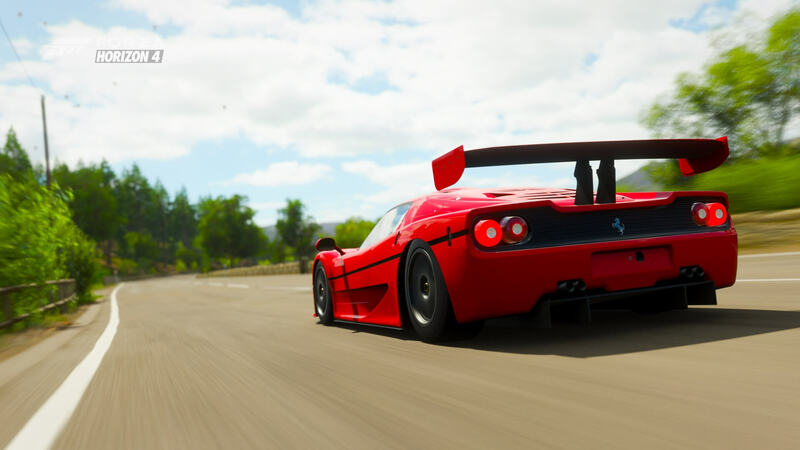 The Ferrari F50 GT is available for hitting 50% total completion in Series 7, whilst the Ford Capri Forza Edition will be an elusive one for those who manage to successfully beat every event and challenge available throughout each season of the current series. Those who manage to do it will unlock themselves one of the rarest vehicles to roam the streets of beautiful, historic Britain. 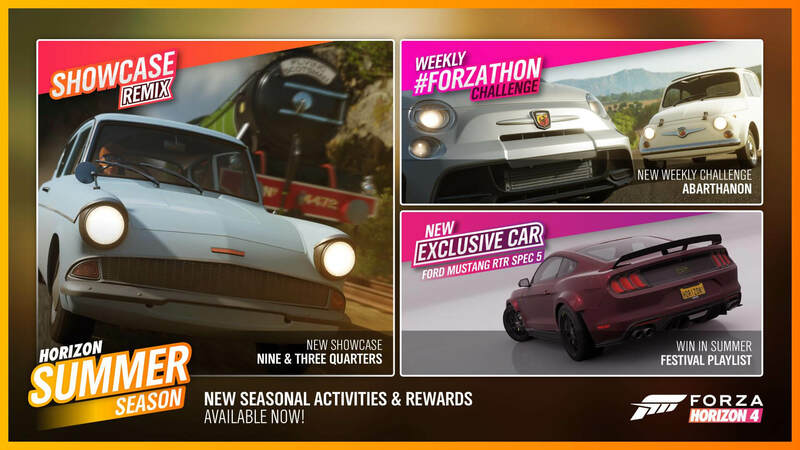 Below, the official descriptions of the Ferrari F50 GT and the Ford Capri Forza Edition can be found courtesy of Turn 10 Studios – have a look at them for yourself and then head into Forza Horizon 4 and begin completing seasonal events and challenges to add these iconic cars to your in-game collection of classic rare automobiles. With enough F50s produced and roaming the streets (or resting in private collections), Ferrari was able to homologate the incredible car for racing purposes, creating the F50 GT. The primary name of the game was increased power and less weight—200 horsepower more of the former, and nearly 900 lbs. less of the latter—so it’s no surprise that the F50 GT is an incredible performer. The bottom line is that the F50 GT is an incredible track car, with blistering speed and incredible cornering ability, considering that it is based on a road-going vehicle. In addition, it’s one of the rarest Ferraris around, with just three being constructed. The Capri is perhaps one of the most European-looking cars Ford ever produced. That might be because Ford designed the car for the European market in an attempt to reproduce the success the Mustang saw in America. The Capri was broadly accepted and for years was available with a variety of powerplants to increase appeal to different audiences. Its long sloping nose and fastback coupe rear were a form that resembled the Mustang but also fit the form of popular Japanese coupes of the era. With its spry 3.1-litre motor in this homologation model, the RS3100 will get the jump on similarly-classed cars. Dieter Glemser and fellow German Jochen Mass both won European Touring Car Championships in Capris, thus proving their adeptness to the track. 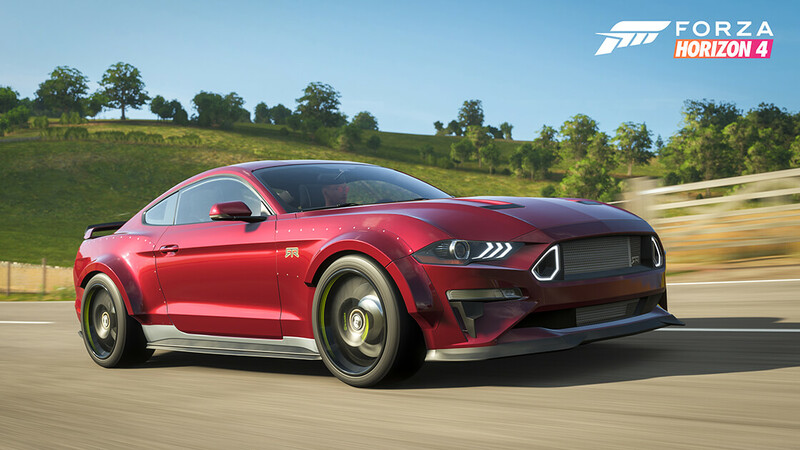 When you add the Forza Edition tuning and aesthetic, you have something to truly treasure. 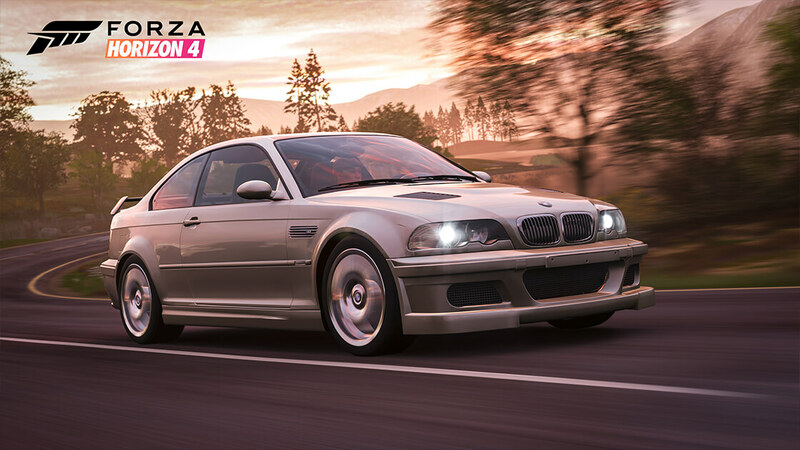 Not only does the Festival Playlist experience bring together all of Forza Horizon 4’s seasonal content into one user interface, but there’s also brand-new Showcase Remixes. 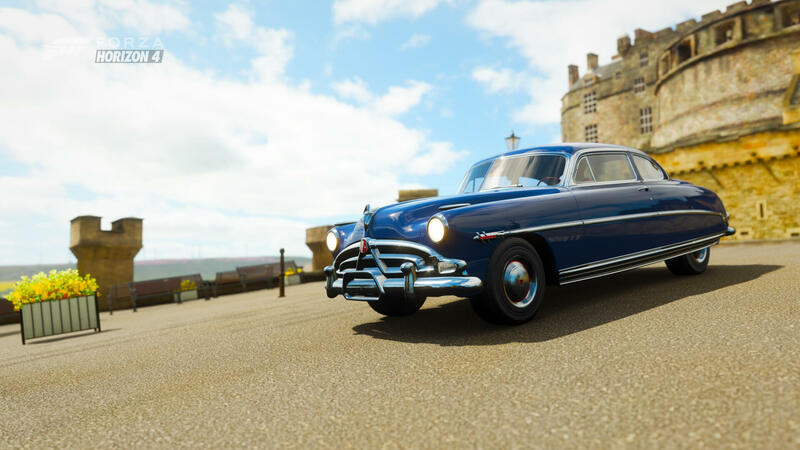 Exclusively available this Summer, drive the classic Ford Anglia from the Scottish Highlands to Edinburgh as you chase down The Flying Scotsman. Meanwhile, the Halo Showcase event has been refreshed for the Winter season with snow covering the British landscapes as you drive Master Chief’s Warthog through the iconic props and backdrops taken from the Halo universe. Additional Showcase Remixes will become available with each seasonal change, so be sure to check back on the Festival Playlist interface for the latest one available to access. 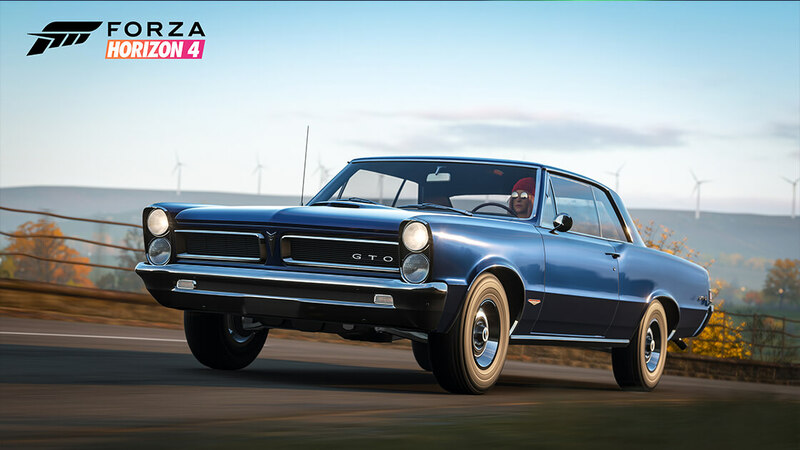 These timed-limited challenges naturally offer their own rewards and act as a twist on the original Showcase events you’re already familiar with in Forza Horizon 4 by swapping out the car, changing up the season and offering a different weather scenario to make it feel reinvented and fresh. 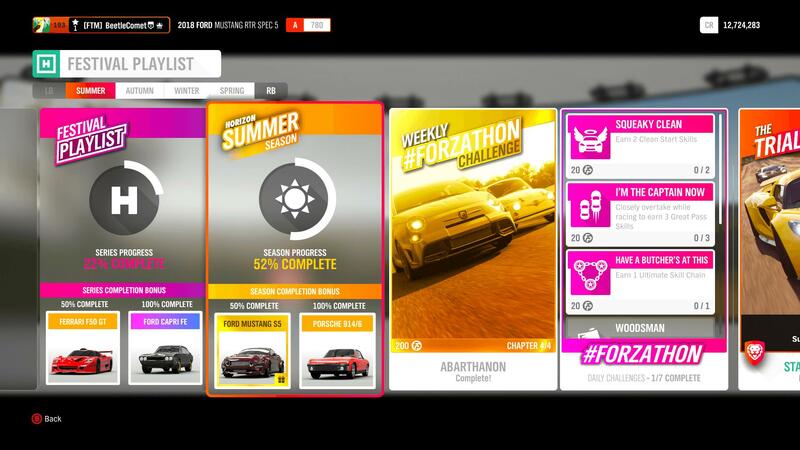 One further incentive to check out Forza Horizon 4’s newest additions in Series 7 are the 18 new Xbox Live Achievements that have been added to the game this month, worth a total of 500 Gamerscore points. These are all unlockable on the mainland and they don’t require the Fortune Island expansion. 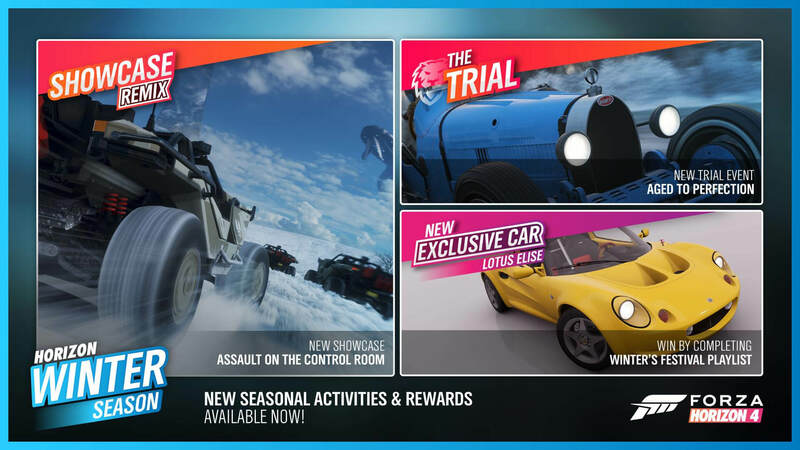 In addition to new Achievements for the 3 Horizon Stories that have been added to the game post-release – British Racing Green, Isha’s Taxis and Skill Streak, there’s also ones for completing seasonal content within Festival Playlist, as well as for partaking in Ranked Free-for-All Adventure. These newly-added Achievements are all available to unlock today in Forza Horizon 4 and reward the most dedicated of festival-goers. So, what are you waiting for? Take a trip back to Horizon today and discover everything that’s new to experience over the next four seasons this month in beautiful, historic Britain.